It’s been a while since a musical revue got universal praise from critics, but After Midnight, the latest of the genre, couldn’t have received stronger reviews. Featuring incredible music and dancing – this tribute fully embraces the style of its original source to deliver a nearly perfect show that celebrates the undeniable talents of the singers, dancers and musicians on stage. 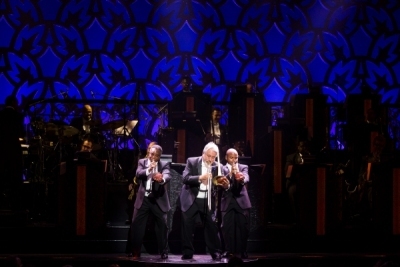 And though all deliver excellent performances, the stars of the show are unmistakably the Jazz at Lincoln Center All-Stars, who capture Ellington’s style to a t, leaving audiences smiling, tapping their toes and singing After Midnight’s praises.